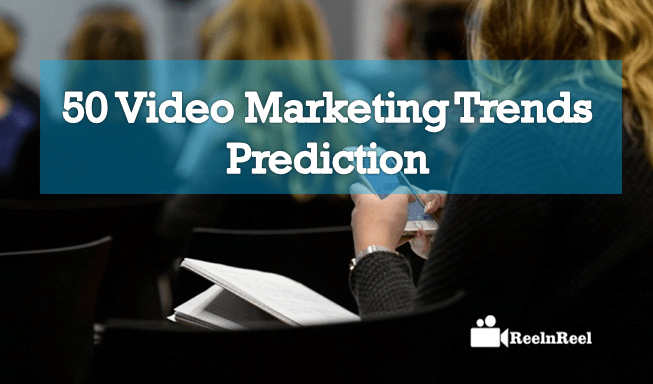 There are only two months left for 2019 to begin and it is time to know the video marketing trends and prediction for the next year. Every business is into video marketing now and to be ahead of the competitors, it is necessary to understand the trends and prediction of it. Here is the list of trends and predictions of video marketing for the coming year. Expect no easy organic search traffic and get ready to pay for traffic as social media is becoming paid media. With so much competition between brands, search engine optimization is going to become important. Instead of using paid media, the businesses are likely to build email lists to reach their own audience. Facebook video popularity is growing with the launch of Facebook Live and an even bigger increase in the video is expected on Facebook. Live video is a powerful tool to interact with the consumers and we can expect more live broadcast in the coming year. Video influences a buyer to take a decision about purchasing the product. To increase sales of any product or service, more and more resources will be needed by the sales team. There are many choices for the brands to market their products including the social networks and multi-channel marketing is expected to grow in the coming year. The success of any brand depends on how it is accessed by the new generation. And brands are expected combine the visual content and the apps to attract these consumers. Marketing videos for the future are going to be an informative and entertainment. With VR headsets becoming accessible to one and all the Virtual Reality technology is going to be used more by the marketers. Email marketing is going to have more engaging videos. 2019 will see brands offering relevant content to targeted customers. Advertising platforms are going to become more and more intelligent. More brands will integrate video into their web design. Live video will be used by the brands to build trust. Chatbots are going to become more popular. Chatbots will offer better customer service. Social media is predicted to make expiring content a part of their video marketing. Automation marketing tools become essential tools for all marketers. Automation marketing tools are going to be making smarter and cheaper. The need of personalization is going to be higher. The way advertisement is delivered to the consumer become more and more important. Digital marketing automation is going to be used to send right content for the right customer. Social influencers are expected to rise. Transparency is going to be more important for brands. The growth of social media usage for video marketing is going to be up. Video is going to become more and more popular for marketing. Consumers are going to prefer more video than the text content. Interactive video content is going to be the key to marketing success. Promoting the product through live events is here to stay. Brands are more likely to make their video content mobile friendly. Optimizing the video content across multiple devices. Artificial intelligence is going to be incorporated more into video marketing. YouTube popularity is not going to become any less and brands will continue to make videos for this platform. The budget for marketing videos is going to shift more to digital and mobile channels. Marketers will prioritize their content for mobiles. There will be emphasis on branded video content. The use of animated GIFs on social media is also going to increase. Social live streaming is going to be used by brands for story telling. Periscope and other live streaming apps are going to be more and more popular. Brands will not neglect the Facebook native videos. Snapchat will be used for catering to the mobile users. The existing content will be repurposed into a video by brands. The home pages of the websites will have video for more engagement. Sales pages are also likely to have the videos such as product reviews. Facebook Live Video is going to be the new popular trend that will be followed by brands. Brands are likely to crease more short videos. Autoplay of ads might be completely avoided. Brands will focus on consumers first and their products later. Social media is going to be part of the brand culture to connect with the audience. It is expected that by the next year more than seventy percent of the people online will be watching videos. Know the trends and adjust the video marketing campaign accordingly to be ahead of others. In this article we have a collection of 50 video marketing trends for 2019 has listed. There are many choices for considering the different video marketing trends. Video marketing trends for using any digital marketing services to grow their continuous growth of business.